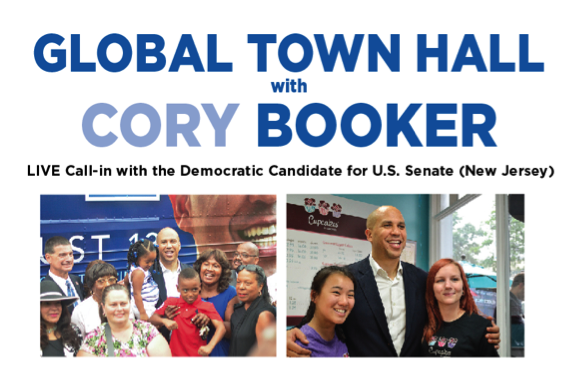 Democrats Abroad is hosting a call-in Global Town Hall with Cory Booker, the Dem candidate for New Jersey Senate. Here in Geneva, several New Jersey voters joined up with a few other dems abroad, who are excited to support Cory Booker and see real promise in this rising star for the Democratic Party. We are hosting a drinks and dinner event in the beautiful home of fellow Dem member in Vésenaz on October 5th from 7pm to 9:30pm. 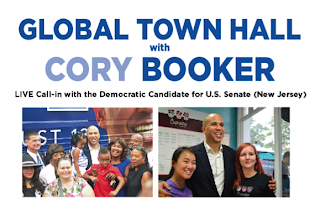 The live video call-in with Cory Booker will start at 8:30pm so we’ll have plenty of time to meet, mingle and enjoy drinks and buffet dinner while watching the sun set over the lake. We’ve set a goal to raise $1,000 for Cory Booker’s Senate campaign and hope you will help us reach it! 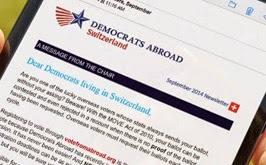 To sign up, go to www.actblue.com/page/daforbooker2013 and select the Switzerland, Geneva venue. You’ll see on the website that the Booker for Senate campaign is asking for a minimum $25 donation to participate in the call. We would like to ask you to donate a minimum of $50 per person to help us meet our $1,000 fundraising goal and be a part of this dinner and drinks event we are hosting around the call. You can use the “Additional Support” options to top up your donation when registering. Once you’ve signed up, we’ll send you the address and directions. (Note: There is easy public transportation access to Vésenaz (Geneva) from Rive to Capite stops on Bus A).